Jillian Parraguirre studied abroad in San Sebastián, Spain in 2014. 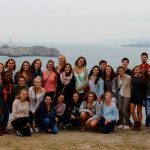 In this interview we talk with Jillian about her experience in Spain learning about the Spanish and Basque culture and how her study abroad led her to her career today. 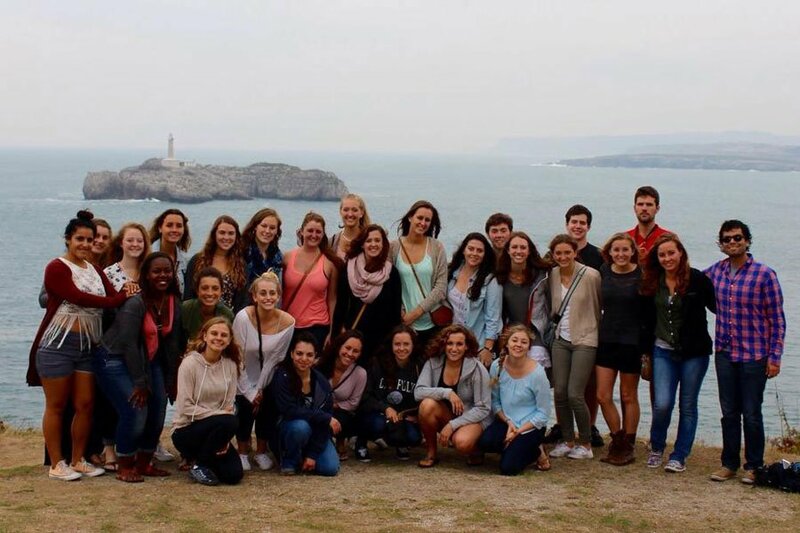 Why did you choose to study abroad in San Sebastián? San Sebastián was the perfect location for me as it provided me with an opportunity to better develop my Spanish language skills and to foster a deeper connection with my Basque heritage. What surprised you the most about San Sebastián? I was most surprised at how easily I was able to adjust to the lifestyle and culture there. The language barrier was not an issue and people were more than willing to help me with my Spanish when I struggled to communicate in the beginning. What was your favorite course during your time abroad and why? My favorite course by far was my course in art history, and second to that was Spanish culture. Both courses enriched my understanding of the Spanish people and their customs, and taught me so much that I hadn’t known beforehand. Did you participate in any internships/volunteer? If so can you talk about what you did and how it impacted your study abroad time? I interned with a local PR and cultural organization which put on the annual horror film festival during the month of October. I was surprised that the university was able to organize such a unique, interesting opportunity like this, and I was a big horror film buff so it was a really fun experience for me personally. It gave me a chance to network with individuals in the creative industry, which is where I will be working professionally now. I had the chance to learn about the Spanish culture that I have been studying since elementary school, first-hand from people living there. It provided me with a more meaningful and authentic educational experience, and opened my eyes to a different way of living. I didn’t anticipate making such good friends from USAC programs across the country while studying in Spain. We spent so much time in the classes and on the excursion trips together that we naturally developed friendships that have lasted past the end of the semester abroad. I look back regretting not trying harder to socialize and befriend the Spanish students on campus. How did your study abroad impact your future career choices and what you’re doing now? This experience opened my eyes to how much I wanted to make international work and study a part of my life from then on. Since studying abroad as an undergraduate student, I’ve gone on to study at a graduate level in London where I am currently a Masters candidate in Art Business. I plan to pursue job opportunities both in and out of the United States upon my graduation. I discovered a greater sense of independence and autonomy while I was abroad, learning to adapt in difficult and unfamiliar environments at times. In what ways were you pushed out of your comfort zone and how did that help you grow as a person? I was pushed out of my comfort zone from the start, immersing myself in an environment where I knew virtually no one from home and was forced to foster new connections in order to get the most out of my time away. What advice do you have for someone considering studying abroad or not? It can be an incredibly powerful and eye-opening experience if you allow yourself to go with the flow and accept that things will often not go as planned. If given the chance to study abroad, you should take it.